What do you call the area of road you drive on? What do you call the area of road you drive on? The lane is where you drive. A verge is the grass edge of a road. A pathway is where pedestrians walk. The road edge might have a kerb made from raised concrete or stone. Roads are marked with lines. Lanes are formed either between kerbs, verges, painted lines, a kerb and painted line or a verge and painted line. 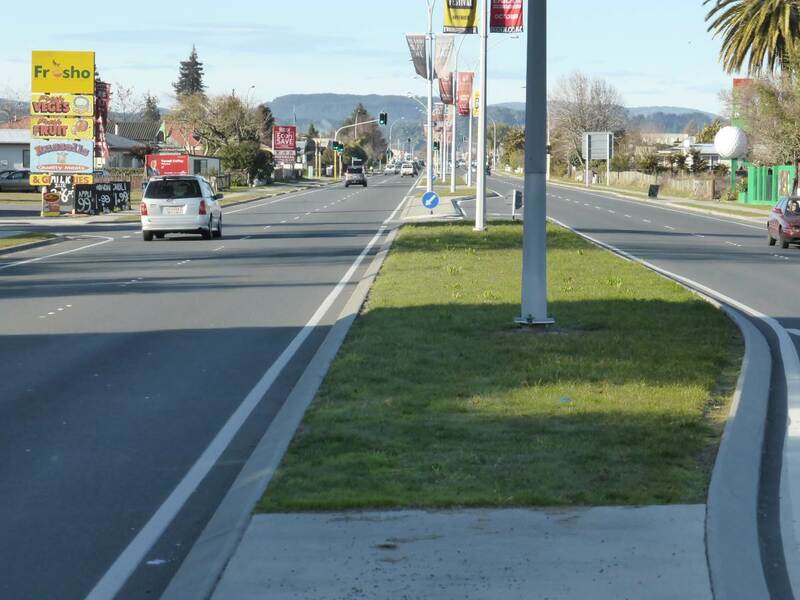 The image above shows (from far left) a path, a grass verge, the kerb, painted no parking lines, a lane, a painted centre line, another lane, a solid white painted edge line, another kerb, the grass median strip, and then the equivalent the other side. There are two lanes in either direction. 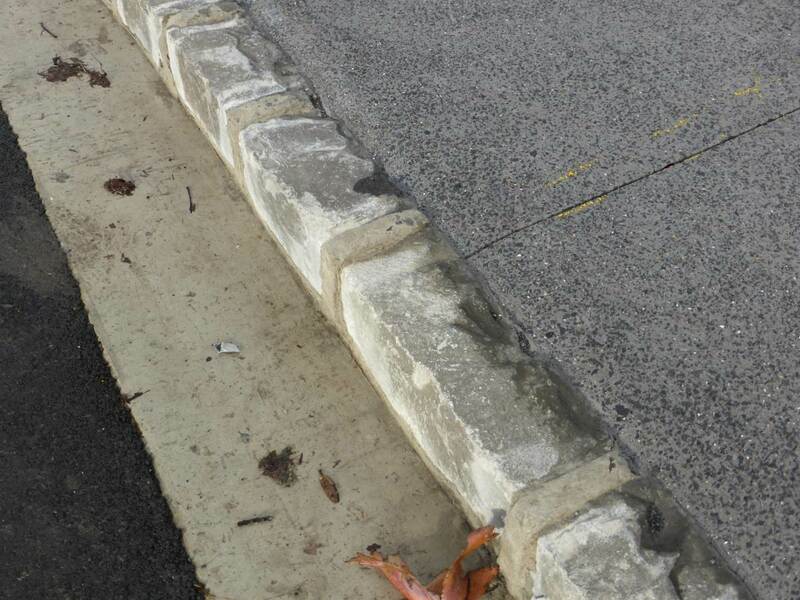 Kerbs can be formed, smooth concrete and either at an angle like the ones above, or vertical like these ones.